Volunteer work parties start to maintain and improve the line of the canal for visitors, and reveal more of the remains of the original canal. Now twice-monthly, around 200 man-days were been contributed in the first 12 months of operation. 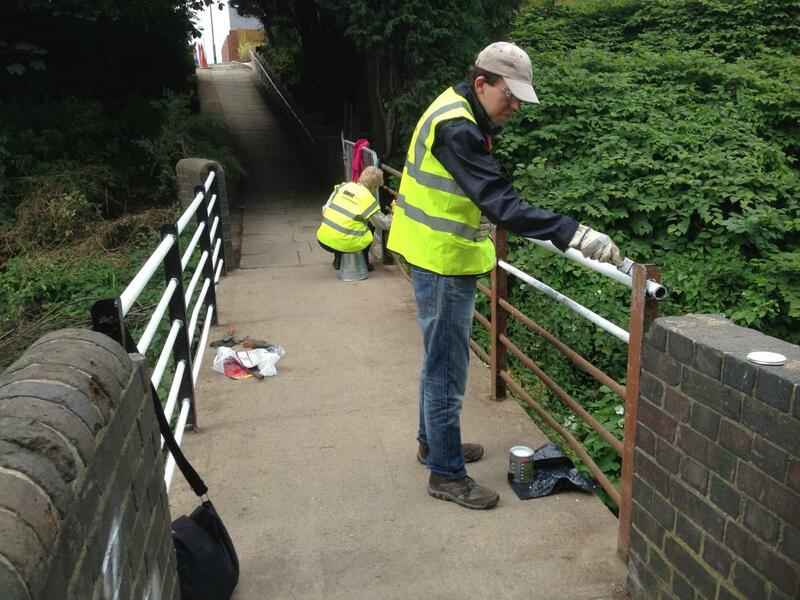 Tasks undertaken include have included litter picking, painting, cutting back vegetation and excavating the line of the canal. in March 2016 a joint work party was held with the Middleport Matters community group as part of the Clean for the Queen weekend. A total of 53 volunteers collected around 70 bags of rubbish in a very busy and successful day. Good publicity was generated for Burslem Port and Middleport Matters with the cleanup prominently featured in local media, including a live Radio Stoke interview at the start of the day.